Every project has a story to tell. You just have to listen. That's why the creator gave us two ears and one mouth. [October 6, 2010] – National Center for American Indian Enterprise Development (NCAIED) has selected Michael Laverdure, director of the First American Design Studio, as the recipient of the 2010 “Native American 40 Under 40”. 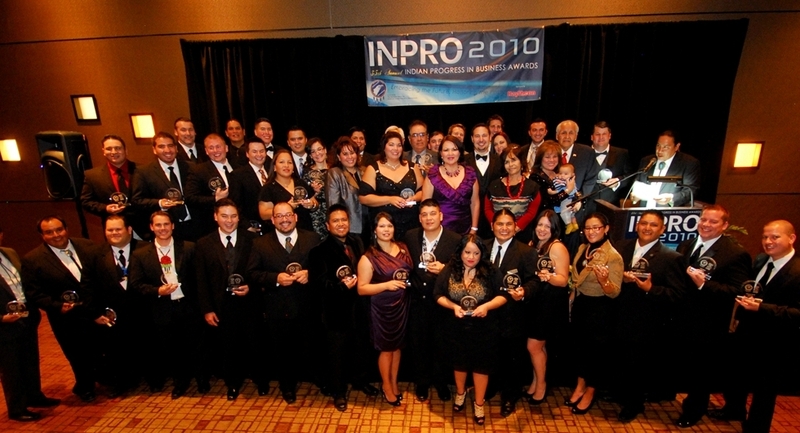 The recipients are “outstanding young Native Americans who have shown excellence in community and/or profession.” Winners will be recognized at a special reception that will be held prior to the Indian Progress in Business Awards Banquet (INPRO 2010), on October 21, 2010 at the Hard Rock Hotel & Casino in Albuquerque, New Mexico. Michael graduated in 1996 from North Dakota State University’s College of Architecture and is a licensed Architect. He also passed his LEED (Leadership in Energy & Environmental Design) accreditation exams and is also an enrolled member of the Turtle Mountain Band of Chippewa, located in North Dakota. As design director of the First American Design Studio, Michael demonstrates a commitment in the principle that he contribute to the betterment of Native American communities. Under his leadership, the studio’s cultural design process has been tailored to exceed the expectations of clients. © Copyright 2014 First American Design Studio. Designed by OTOTW.